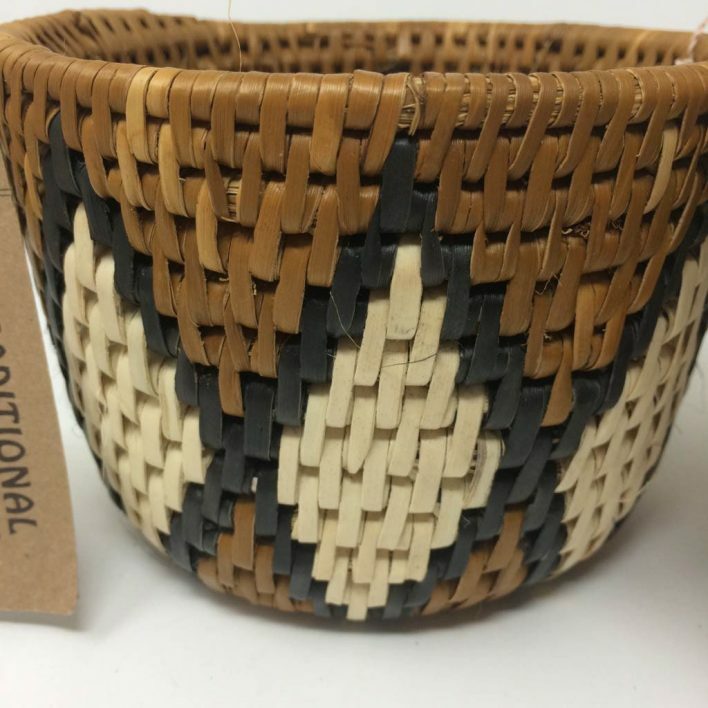 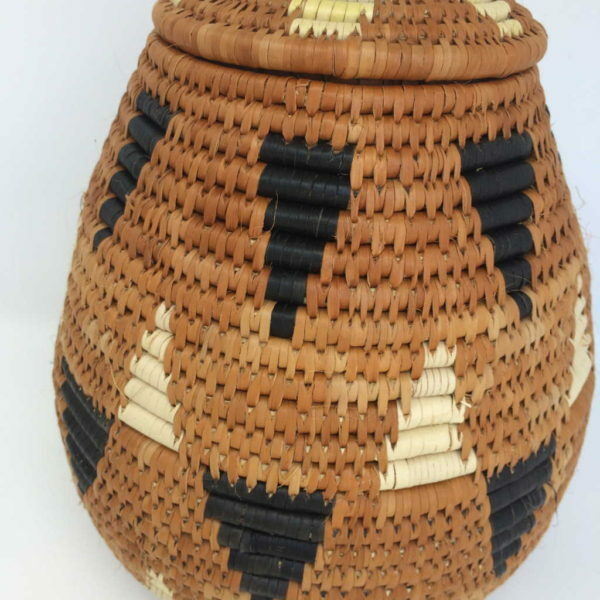 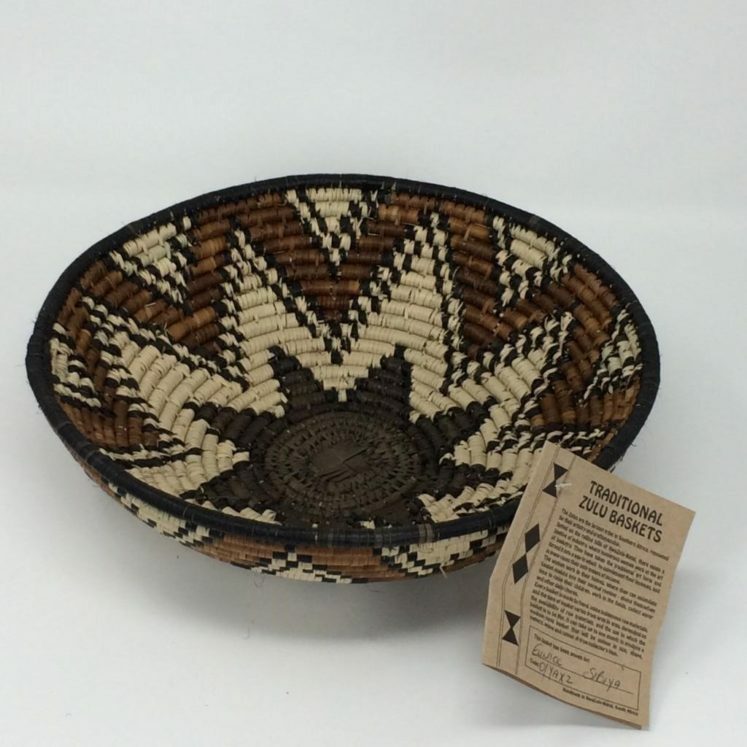 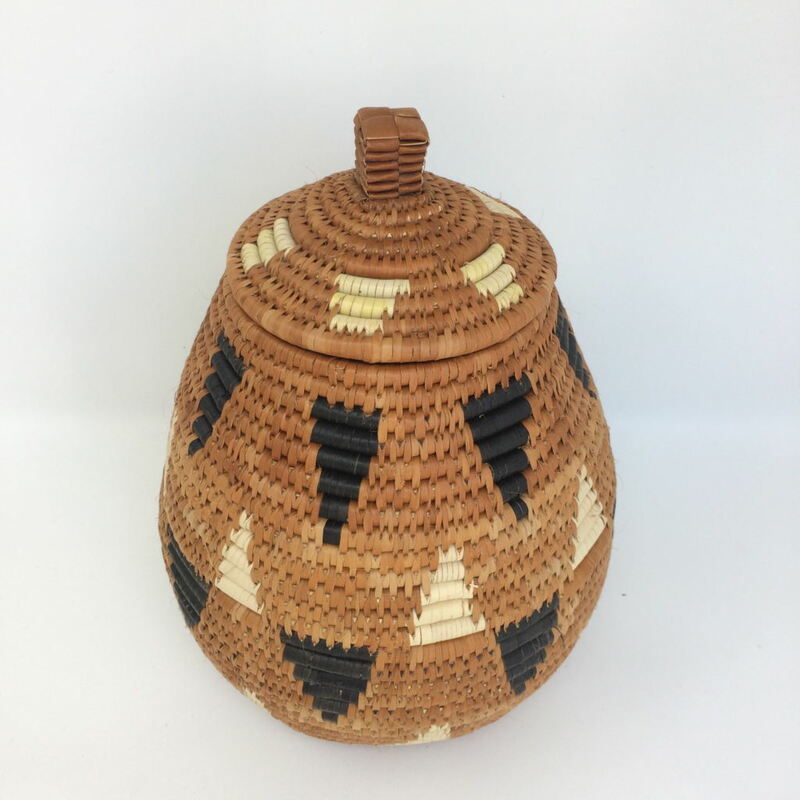 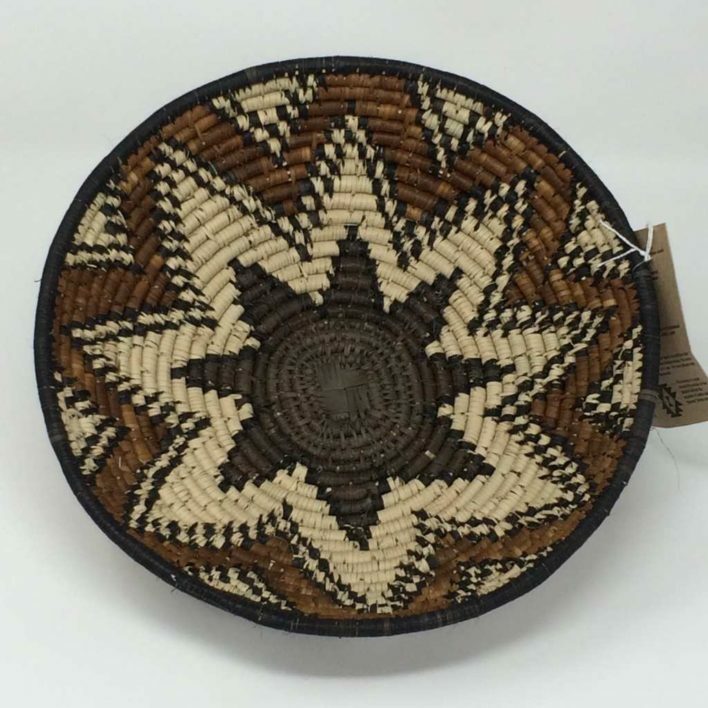 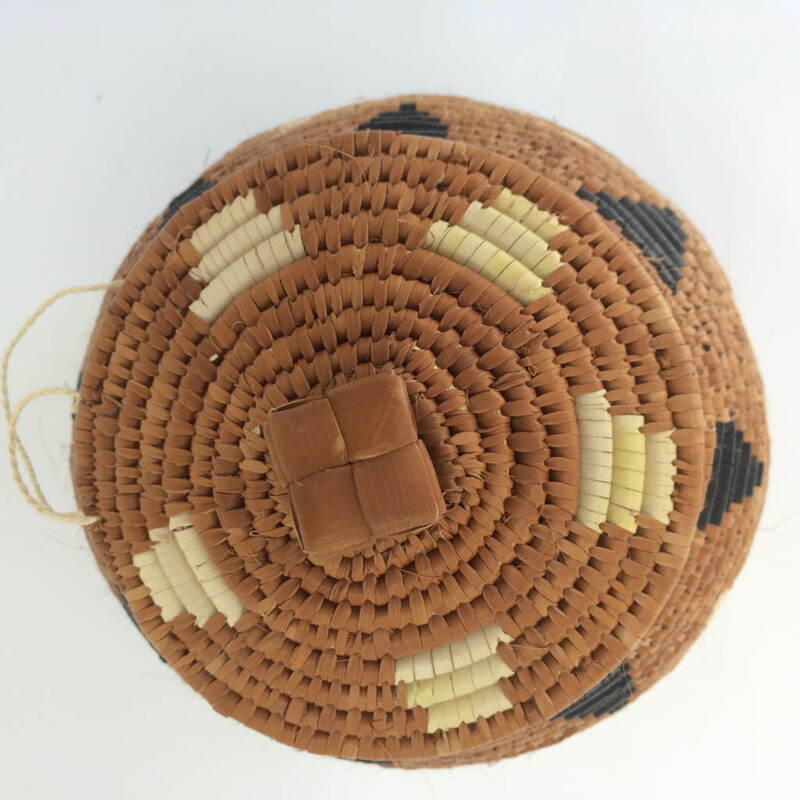 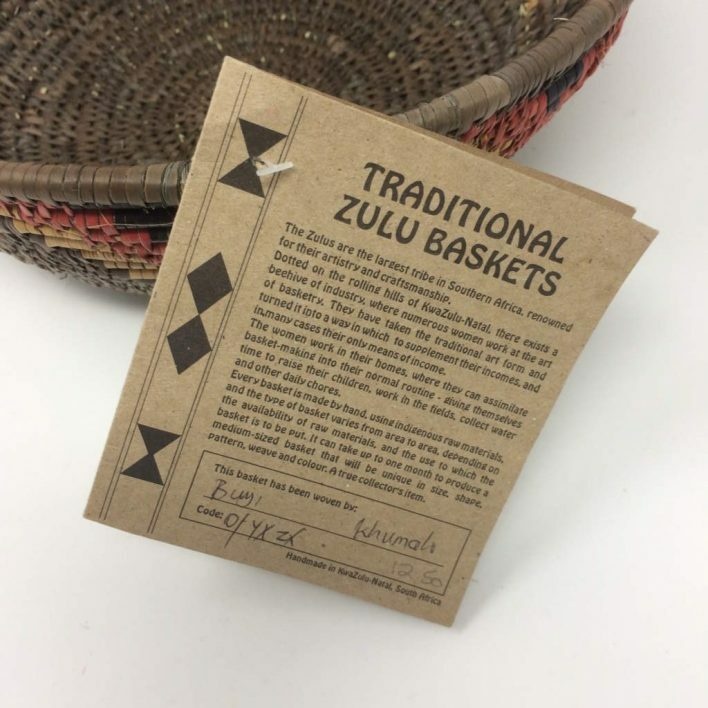 Traditional Beer Basket woven by Nelisiwe Lukhele in natural, tan, dark brown and black in a beautiful half diamond pattern. The basket stands 30cms (12″) tall to the top of the lid and has a base diameter of 12cms (5″) – all sizes are approximate. 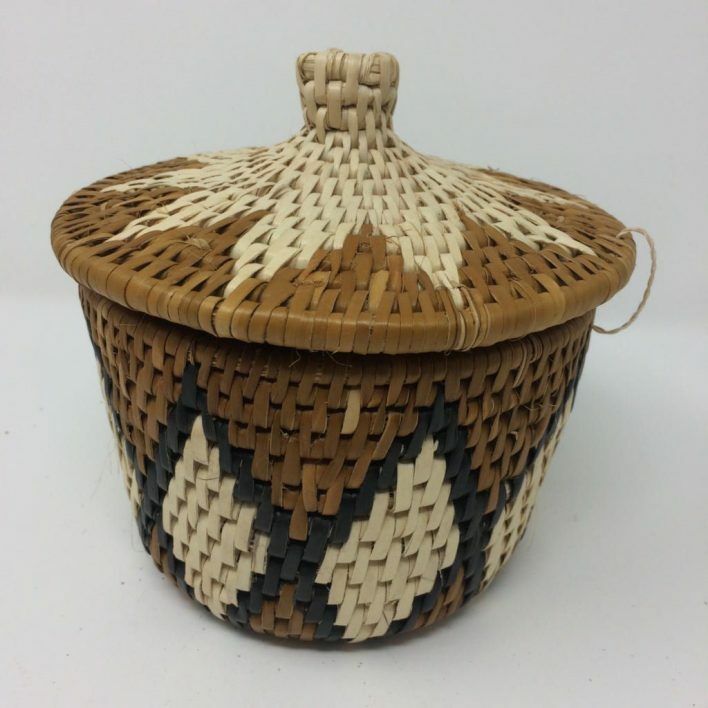 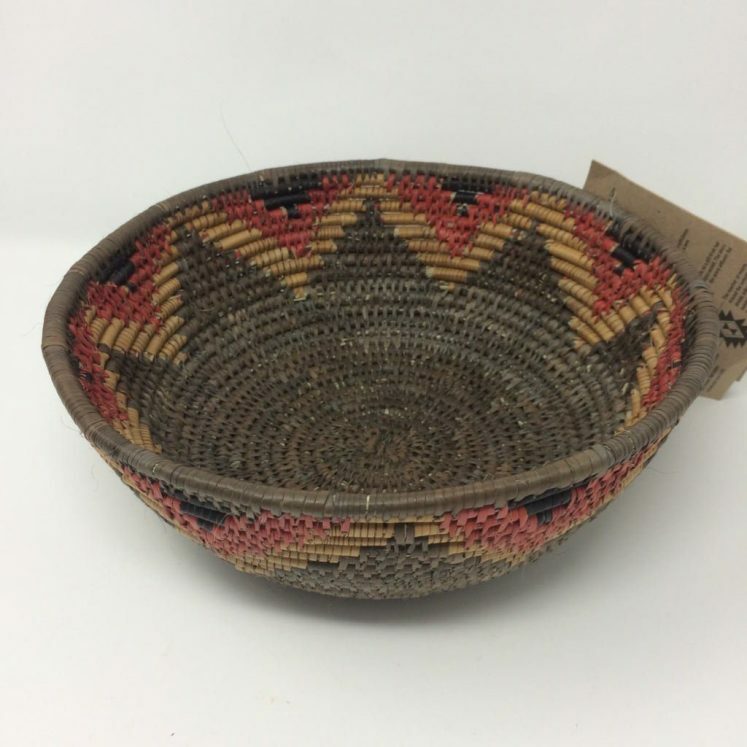 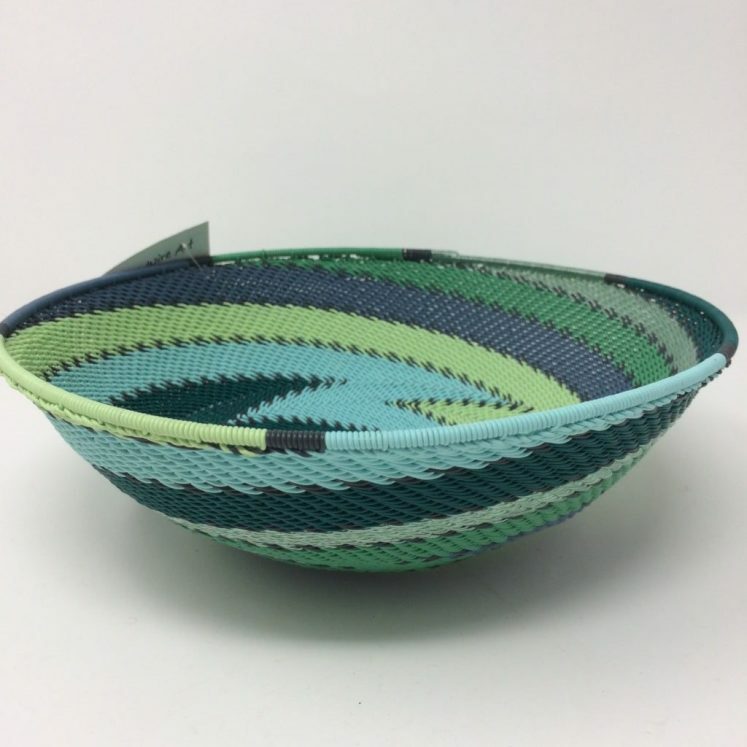 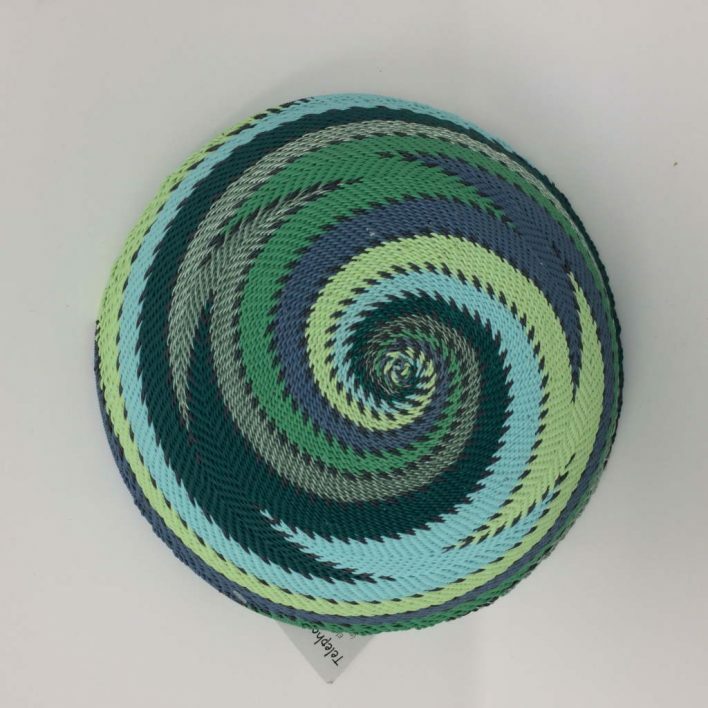 A lovely example of a simply woven basket and a totally unique item.